Four out of every five homes for sale in Bull Run are already under contract. If you want to live here, you better be good at making quick decisions. The following map and list of homes are the most recent listings in Bull Run. Currently, 12 of the 15 homes for sale in Bull Run are already under contract, which is incredible. Bull Run has been one of the hottest Tallahassee neighborhoods during the housing market recovery, but this is an all-new level of activity. Of course, as this small community sits in the heart of the hottest zip code (32312), it's not really that surprising that people are willing to compete to live here. It is important to note that the narrative contained below is through the end of the year for all previous years, and through the 25th of April in 2017. 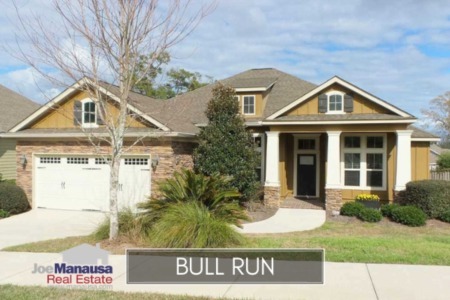 The graphs and the closed sales table will be continuously updated into the future (and you can always track current listings and sales on the Bull Run Neighborhood Page http://www.manausa.com/bull-run.php). Average home prices rose in each of the past five years, but the current trend appears to be a bit lower than last year. With only 8 closed home sales thus far in 2017, the average sales price in Bull Run $339,700. Bull Run home values have risen four years in a row, and 2017 does not appear to be ending this streak. 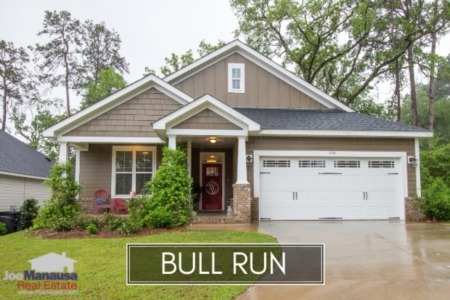 Featuring relatively-rare newly built homes along the Thomasville Road Corridor, Bull run has been the apple of many buyers' eye over the past ten years. Even as other new construction neighborhoods appear around it, sales flourish. Through late April, the average value of a home sold in Bull Run has been $158 per square foot. The average home size sold in Bull Run typically falls in a range of 2,000 to 2,300 square feet, and this year is no different. The 8 sales thus far in 2017 have averaged 2,140 square feet. 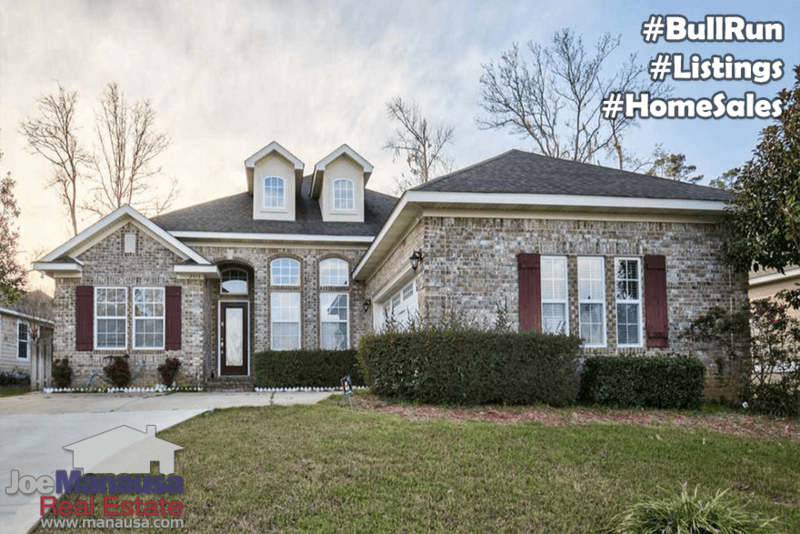 The pace of sales indicates that all homes entering the market, when marketed correctly, will sell right away. This makes the average size statistic far less relevant as all home sizes will sell. The following list shows more than 550 home sales in Bull Run going back to 2005, the first year that homes began selling here. I hope you enjoyed our April 2017 update on home sales in Bull Run, please feel free to drop me a note if you have questions not covered in this report. If you did, please LIKE THIS by clicking the "thumbs up" Facebook button below! Does A Real Estate Agent Have To Write An Offer For You?